Bookkeepers record and classify financial transactions. As well as being comfortable with numbers, organizational skills are particularly important for people in this role. If you are applying for a job as a bookkeeper, review the following list of bookkeeping skills, along with information on how to highlight these skills throughout your job application. In fact, these two roles have their similarities; bookkeepers and accountants often possess similar sets of skills. However, many states govern whether you can call yourself one or the other. Bookkeepers often start from a data-entry level, maintaining a business’s financial records and documenting its transactions. 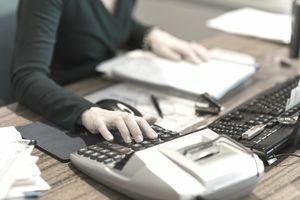 Bookkeepers can add certifications to their resumes, from college programs to professional organization certifications, such as the American Institute of Professional Bookkeepers (AIPB) and the National Association of Certified Public Bookkeepers (NACPB). Accountants typically go beyond record keeping to provide analysis on the financials. Debits and credits: At the heart of the bookkeeping role is recording what a business spends (debits) and what it takes in (credits). It can be helpful to mention your familiarity with accounting software, both generally and the names of specific companies (like Quicken) in your application. Numeracy: A good bookkeeper is comfortable with numbers. Of course, you don't need to do mental arithmetic (calculators, spreadsheet formulas, and software are here to help), but familiarity and comfort with numbers will help you catch errors. Invoicing: In order for the company to make money, invoices must be sent out. As well as detailing the process, it can be helpful to think through and share examples of how you've dealt with late payments or customer pushback on invoices. Attention to detail: Bookkeepers must make sure that the books are reconciled and that every last bill is paid, and every single invoice is sent out and followed up on in a timely manner. Being willing to track down every tiny detail and not forget any task is a core soft skill for bookkeepers. The following is a full list of bookkeeping skills. Accounting skills are the foundation for bookkeeping since you are maintaining the financial books for the business. You need to know your way around debits and credits, to say the least. Any additional skills you can add will give your resume a boost. If the business has even one employee, and that includes you, it has to deal with payroll bookkeeping and accounting. Employers will be looking for skills that include these. Managing transactions and the flow of cash is a critical bookkeeping function. As a bookkeeper, your technical skill set will almost always need to include familiarity or expertise with some form of computer software. Soft skills are often called people or interpersonal skills, but they're more than that. They also include your "emotional intelligence" and your ability to understand situations and respond in a way that produces the best results. Hard skills are skills you can learn through study or skills that you can easily quantify. These are part of your technical skill set and demonstrate your ability to perform specific tasks. Add skill words/phrases to your resume. In the description of your work history, you might want to use some of the keywords listed above. It may also be helpful to include some in your resume's skills section. Include them in your cover letter. In the body of your letter, you can mention one or two of these skills, and give a specific example of a time when you demonstrated those skills at work. Mention your skills during an interview. Think through examples of times when you've demonstrated the top skills listed above. Of course, each job will require different skills and experiences, so make sure you read the job description carefully, and focus on the skills listed by the employer. You can also review our lists of skills listed by job and type of skill for more skills to potentially highlight during your job hunt.